Back in November 2017, Lian Li announced the new Alpha series of cases. 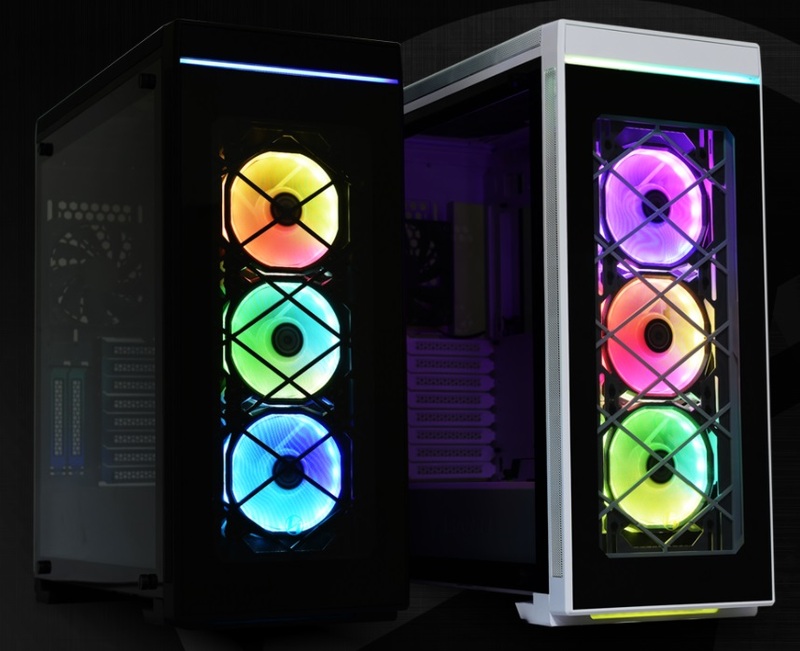 The Alpha 330 and Alpha 550 cases were designed to bring users a steel internal frame as well as tempered glass surfaces for a better look at the inside. 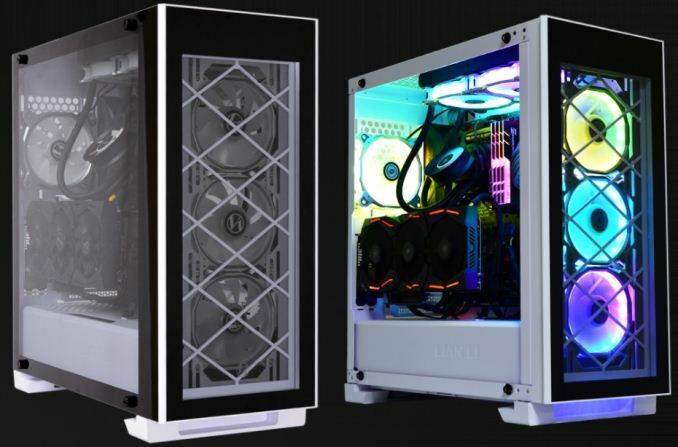 This was a departure from the usual Lian Li norm of aluminum everywhere, but now these cases are set to be available several months after the original announcement. Both of the chassis are marketed towards gamers and enthusiasts and, a Lian Li first, RGB LEDs are included by way of the included fans. Lian Li says the chassis are “designed to blend the clean aesthetics of a tempered-glass chassis but have the familiarity and ease of a traditional PC chassis". Both mid-tower cases offer flexible configurations for both air and water cooled systems and support a wide range of radiators: up to 420mm x 140mm on the front and an additional up to 360mm radiator on top. Both cases support up to ATX size motherboards and has seven expansion slots for PCIe cards. They will hold a total of 7 HDD/SSDs (2 x 3.5” + 5 2.5”) which should be plenty for most users. Support for VGA cards, CPU coolers, and PSUs are the same at 400mm, 170mm, and 250mm respectively. 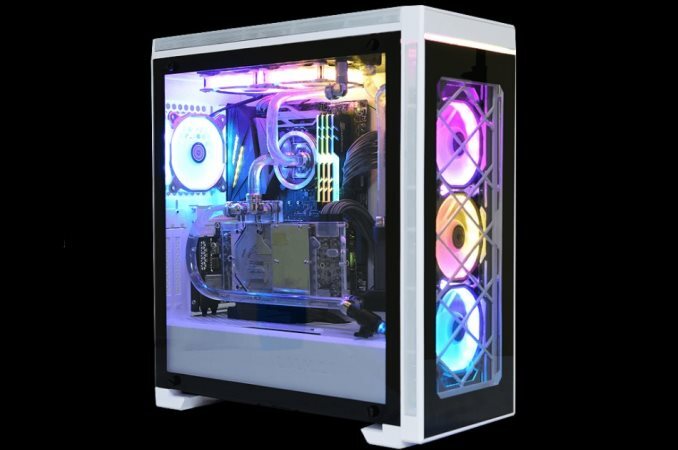 The Alpha 330 RGB utilizes three tempered glass panels, one on the front and the other two on the sides. The left side panel shows behind the motherboard tray and has two levels of transparency. The bottom portion is blacked out hiding the unsightly wires from the power supply while the remainder is there to show off the drives mounted on the back of the motherboard tray. The right panel where the motherboard and ‘business end’ is, has a small border to allow a good view of the internals. Behind the glass front panel on the 330 is s dust filter with a criss-cross pattern - fans are not included. The front panel IO consists of two USB 3.0 ports, an HD Audio plug, as well as a USB 3.1 Type-C port. It is good to see cases at this price point offer Type-C connectivity. 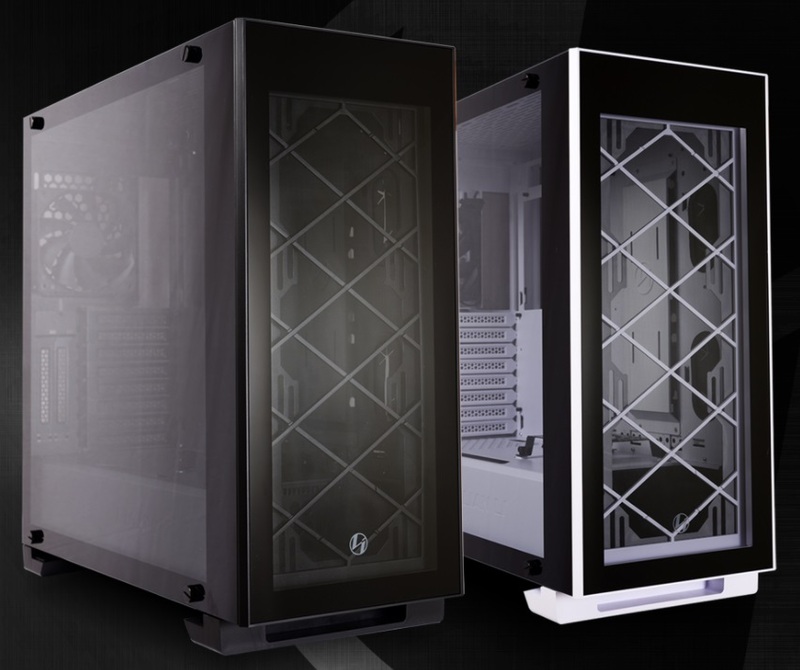 The Alpha 330 chassis comes in black or white. Overall, it’s a very clean appearance with the tempered glass panels. The Alpha 550 sports the higher price than the 330 and with that owners will get four tempered glass panels, as well as the BORA RGB LED fans. In addition to the sides, and front, the 550 includes the glass treatment on the top panel as well making for an even more premium look and feel. The BORA 120mm fans have 16 RGB LEDs integrated around the frame in what Lian Li calls a 'dispersion ring' to create its light effects. The BORA fans use an aluminum frame and dual ball bearing setup in the hub. The four-piece fan can also be disassembled for easy modification (Lian Li has four different colors) or cleaning. Adding to the RGB flare in the 550, an RGB strip is included and located below the front panel. This device and the fans are controlled by the remote.The 550's front panel IO is in a slightly different location, in that it sits facing and hidden behind a panel, whereas on the Alpha 330, it is on top without a panel covering it. The ports are the same. The cases are available now with the Alpha 330 priced at $110 while the Alpha 550 is $180 from Newegg.